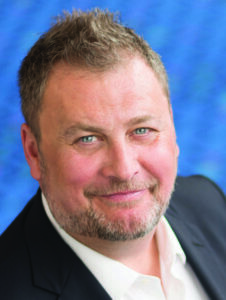 Rod Kaats, the incoming producing artistic director at the Ordway Center for the Performing Arts. There were big tap shoes to fill at the Ordway when James Rocco announced last year that he would step down as Vice President of Programming and Producing Artistic Director. On Thursday, the Ordway Center for the Performing Arts announced that it had found a match. Starting February 1, the Ordway’s Producing Artistic Director will be New York producer Rod Kaats. 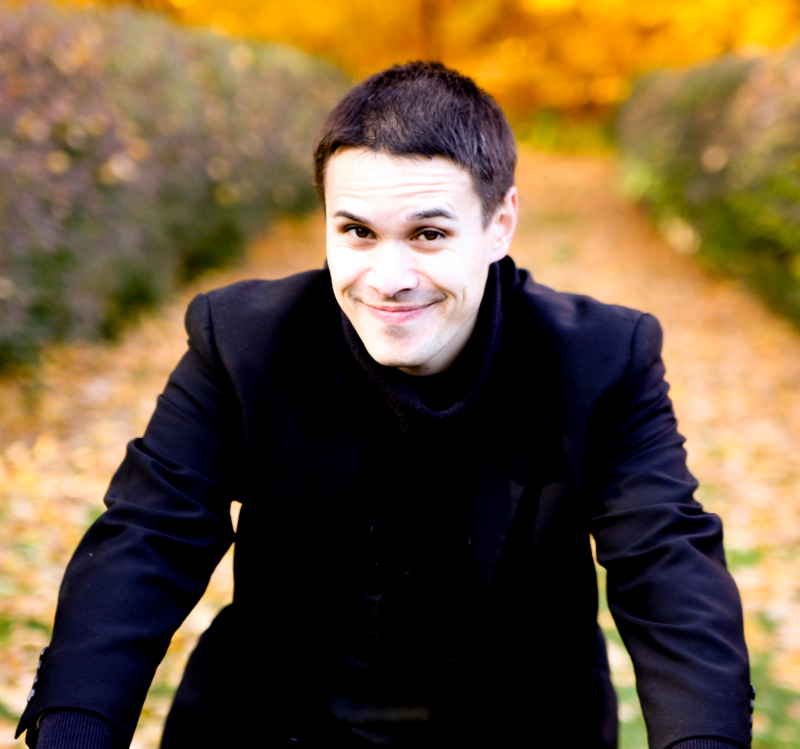 Kaats brings a long and distinguished resume as a multi-talented producer, director, and writer. Of special note is his time at the Pace Theatrical Group (forerunner of the current Broadway Across America, the country’s largest presenter and producer of touring Broadway shows), where he was Vice-President of Programming. His portfolio includes investing in Bob Dylan’s musical Girl from the North Country (currently playing in the West End) as well as working on Broadway and Off-Broadway productions of American Psycho, Hay Fever, A Long Day’s Journey into Night, Rock of Ages, and Silence! The Musical, among many others. He is also an award-winning writer and director, with a distinguished tenure as artistic director of the Helen Hayes Theatre and numerous freelance directing credits. Rod Kaats and Jamie Grant spoke with the Arts Reader’s Basil Considine about the future of programming at the Ordway and new directions in its presenting and cultivating shows and talent. Ordway President & CEO Jamie Grant. Photo by Rich Ryan. JAMIE: One of the unique things about the Ordway is that we produce and present shows. If you do what I do, it’s [actually] a very rare opportunity to do a search for the type of producing artistic director like we have here. As we were preparing for this hire, we told ourselves that it would be great to find someone who was an expert in one area and who only had to learn the other [instead of learning both]. What we discovered, however, was that we had found someone who was as expert in both sides of our business model. We’re thrilled that Rod has agreed to join our team at the Ordway. BASIL: Rod, have they told you about the weather conditions that await you when you start in February? ROD: [laughs] Yes, I’ve actually visited the Twin Cities several times, and when I first did I immediately started looking online for one of those “Nanook of the North” coats. I found one for half price and I’ve carried it to St. Paul three times, in expectation of the weather…but when my plane touches down, the temperature goes up! I’m armed with my gear, but I haven’t been “into battle” [with the weather] yet. BASIL: Jamie, as you mentioned the Ordway’s producing and hosting touring shows is relatively uncommon. This includes something that I’ve only seen at a handful of arts centers, where the presenter develops programs to build up local talent. Over the last several years, James Rocco oversaw several of these programs to cultivate talent in the local community, letting the Ordway do shows and productions in ways that weren’t possible before. Audiences seem to have responded very well to this, especially to the incredibly high standard of dancing and choreography reached in recent shows like West Side Story and In the Heights. Are there plans for continuing this sort of talent-building programming going forward? JAMIE: I think part of the reason we wanted to bring someone with Rod’s expertise was to continue the “Ordway Originals” [i.e., these self-produced shows] – but who could also continue to present and bring things in. One of the unique things that Rod brings to this conversation is his relationships. There are a lot of opportunities that I think exist for Ordway-produced shows to go to their cities. If you look at Rod’s resume, you’ll see that he has a great skillset in that area, too. BASIL: Are you thinking in terms of touring locally, regionally, or all the way up to sending shows to New York? We know we have a lot of talented people here in the Twin Cities, and that the investment in a show is best recovered over as long a period as possible, which includes touring. There are shows like In the Heights, which we took to Dayton, Ohio this last year, that already do this. I believe that there are other theatres out there that would be interested in partnering with us, and we should look at programming from that end. I also think that a guy with Rod’s skill set in new work is going to be very valuable as we try to imagine some of the things that will head to New York, and what role we might play on the front end – a sort of “Ordway on the Way to Broadway” series. Having that combination of skills that Rod has will help us imagine that future in an exciting new way. Benjamin Walker in the 2016 Broadway run of American Psycho, another show that Rod Kaats worked on. BASIL: Rod, producing is sometimes the art of knowing when to delegate the hats that you like to wear. You’ve worn many hats over the years; looking at this next year, do you expect to wear some hats more than others? While these models exist that can get you started on your journey, what really has to happen is that you need to keep your eyes open and be aware of the [current and upcoming] opportunities are. To see where things start to connect and gather. One of my favorite artistic directors is Jim Nicola at New York Theatre Workshop. He has a phrase: “Look for the heat”, which I think is great. You sort of feel it. Other people talk about things “smelling” good and “having legs”. It’s sort of like when you’ve fished a while and learned where the fish are in the pond. One of the key things about being a producer is having all your senses open and be really listening carefully for where opportunities are and where you can partner with people. Where there are things that are exciting and, to use Jim’s word, “Hot.” Then you go towards the heat and see what you can put together. It’s hard for me to predict which hats I’ll be wearing the most. I don’t have any problem wearing those hats – in fact, what I love about producing is its unpredictability, just like when you go out to fish and cast your fishing pole, you never know what’s going to bite. 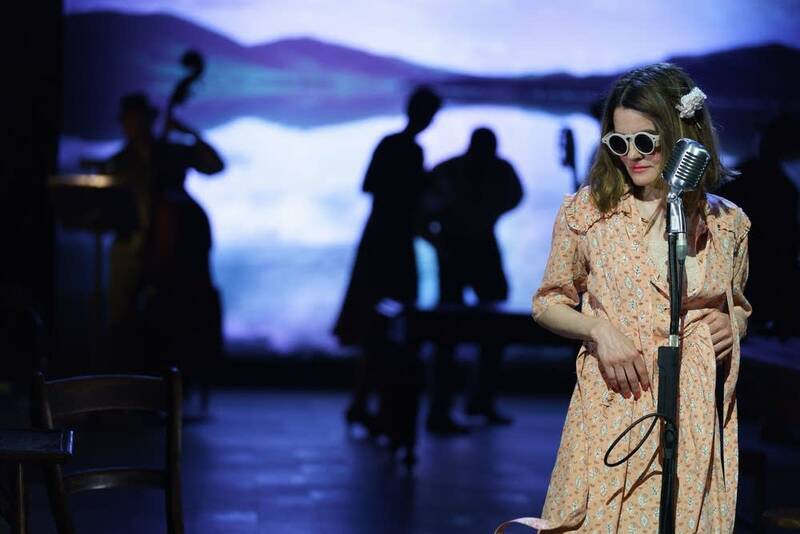 Shirley Henderson as Elizabeth Laine in the Conor McPherson/Bob Dylan musical Girl from the North Country, a currently running West End show that Kaats invested in. Photo by Manuel Harlan. BASIL: Back when you started at the Ordway, Jamie, the new Concert Hall’s paint was still drying; now it’s a few years into that space’s operation, and things seem to be going fabulously. (The acoustics certainly are all that was promised.) At this point, will the Ordway be looking at that specific space for more or different programming in the future? JAMIE: First of all, the Concert Hall is a spectacular space, whether it’s for spoken word or music. We’ve used it from everything from comedy to concerts and it just seems to work. One of the things that Rod and I have talked about is this whole idea of looking at opportunities to do theatrical concerts in that space. I think the space is spectacular for that. If you interview the two of us a year from now, I think there’ll be more and different things that we’ve done in the Concert Hall than when it was first envisioned – we’ve found that it works for everything. ROD: I’m really excited about programming in that space. The interest in musical theatre in America has grown so much that something like a concert staging of a show that might have seemed too barebones or too “Where’s the scenery? Where’s the show” before is received differently. Now, people understand that you can do the “radio show” version of a musical or a reading of a new work, using your imagination for the rest. The entire Encores! series in New York, for example, is built on that. I think this illustrates why a space like the Concert Hall is so valuable an asset for us for experimentation and wanting to program new and interesting things that are at various stages of development. JAMIE: Rod and I both go on an annual basis to a festival of new musicals in New York. We see showcase versions of new musicals in 45-minute chunks; if you look at the number of shows currently playing on Broadway that started in that environment, the number is really large. I think there’re a lot of unique opportunities [in things like this] and having someone like Rod who can seek them out will be a huge asset for the Ordway. BASIL: Looking at the Ordway as an organization, a staff departure and arrival is always an opportunity to look at how the organization as a whole can meet the needs of its constituents now. Are there any other outstanding changes planned for the organization as a whole? ROD: I’m very new to the organization, so I can’t speak to “We’re going to make these procedural changes” – nor do I necessarily think that any are needed – but my arrival at the Ordway is not just about my appointment. It’s an opportunity for everyone on staff to take a moment, step back, and think about where we’ve been and where we’re going. That’s a conversation that I want to have with the staff, and frankly a conversation that is going to be formed in collaboration with them. My watchword for everyone is, “Look outward – think about looking outward and how we can extend our reach, to make partnerships both within the Twin Cities and around the country.” I’m also encouraging people to be willing to wipe the slate clean – “Let’s think of this as a fresh start”. This doesn’t necessarily mean that we’ll change everything, but it gives a pose where everyone can stop and reflect. “Should we keep going down this path, or should we change course?” It’s a really exciting time to be part of an organization, and I’m thrilled to be part of it. BASIL: Rod, we have high (and trained) expectations of producing artistic directors who not only produce these great shows at the Ordway, but also step on stage. Do you have any plans to don that hat yourself? ROD: Yeah, no. [laughs] You won’t see me on that side of the footlights! I did start as an actor – but I won’t be doing any of that in costume and in front of the audience at the Ordway. One of the great things about this job is the ability to be invisible. I really think that when a producer or a director has done their job, no one has any idea that you [the producer or director] have been involved at all, and it seems like the show just happens completely naturally. The only time your work gets flagged is when you’ve made a mistake. When it works, when you’re watching from the back of the room and seeing the audience be thrilled and full of excitement… When you’re feeling the energy from the performers when they know they’re giving a super-hot performance…that, to me, is way more of a high than ever standing downstage and in the spotlight…which I hope to never do again!